Mechanism available for monitoring the service delivery and public grievance resolution. Final authority that vets the decision. The Bank carries on and transacts the business of banking. 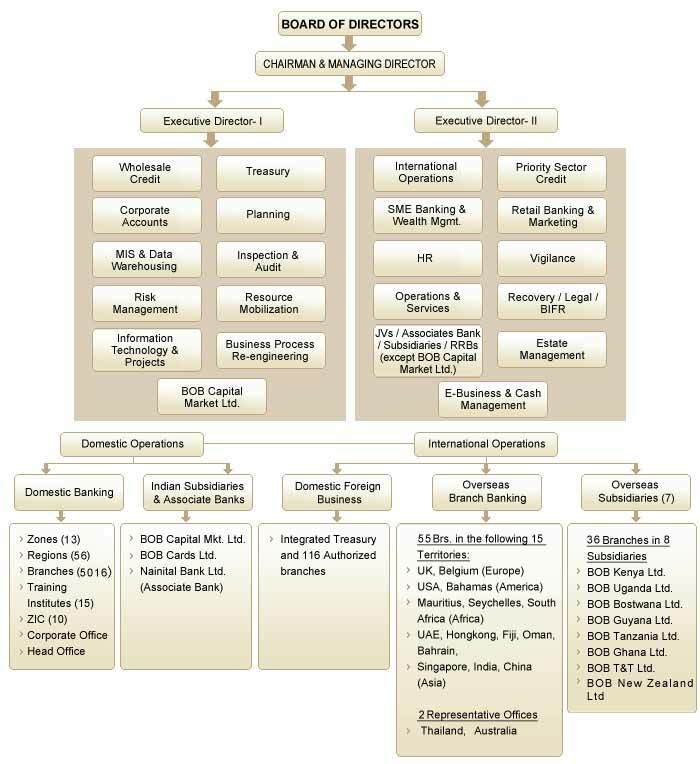 Sub section (5) of section 3 of the Banking Companies (Acquisition & Transfer of Undertakings) Act 1970 mandates that Bank of Baroda as a “corresponding new bank” shall carry on and transact the business of banking as defined in clause (b) of section 5 of the Banking Regulations Act 1949 and may engage in one or more of the other forms of business specified in sub-section (1) of section 6 of that Act. Establishing and supporting or aiding in the establishment and support of associations, institutions, funds, trusts, and conveniences calculated to benefit employees or ex-employees of the company or the dependents or connections of such persons; granting pension and allowances and making payments towards insurance; subscribing to or guaranteeing moneys of charitable or benevolent object or for any exhibition or for any public., general or useful object. Acquiring & Undertaking the whole or any part of the business of any person or company, when such business is of a nature enumerated or described in this sub section. Any other form of business which the Central Government may, by notification in the official gazette, specify as a form of business in which it is lawful for a Banking Company to engage."